To coincide with Pride Month, the 5 & Dime, A Theatre Company presents The Laramie Project (June 15-July 1). Yellow House and the LGBT Resource Center at the University of North Florida (UNF) have joined forces to organize an exhibition as a tribute to the emotionally powerful and socially profound play. The following artists are featured in the gallery show: Elaine Hosking, Bane Campos, and Ricder Ricardo. 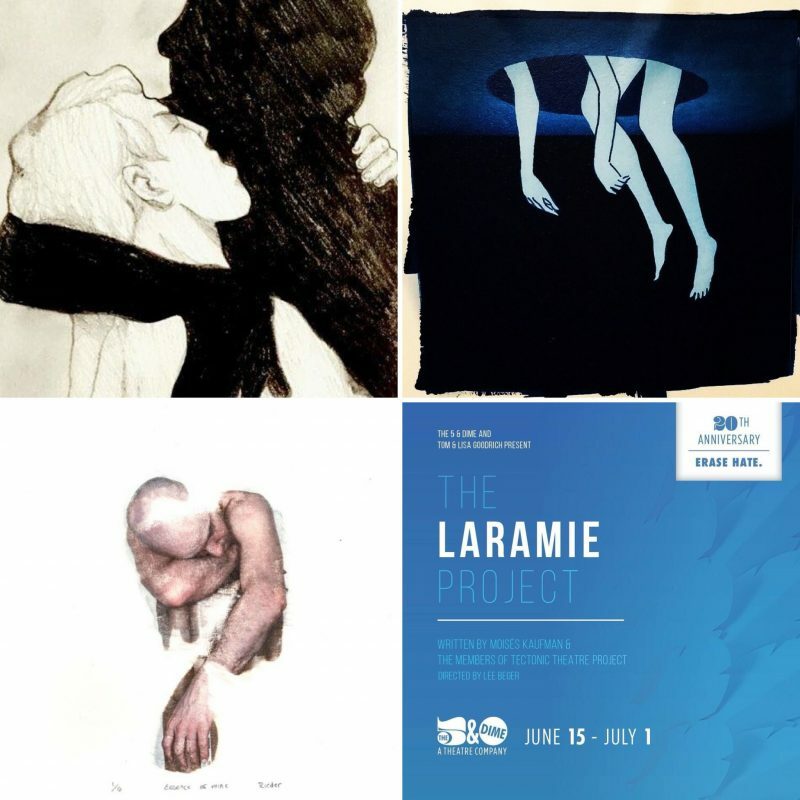 A reception for the gallery show will take place on Sunday, June 24 starting at 5pm, at the conclusion of the Matiness performance of the Laramie Project. Be sure to check the 5 & Dime website for additional showtimes and tickets: http://the5anddime.org/.